Power To Sing respects each individual’s right to personal privacy. We will collect and use information through our Web site only in the ways disclosed in this statement. This statement applies solely to information collected at Power To Sings’ Web site. 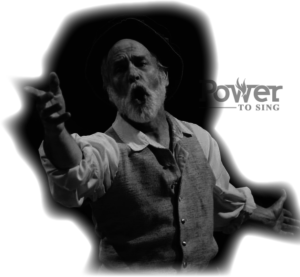 Power To Sing collects information in the Contact Our Studio portion of our web site. We collect the following information about visitors: Name, phone number, and email address. Power To Sing does not actively market to children, and we never knowingly ask a child under 13 to divulge personal information. We collect this information through our Start Now, Work with Me, and PowerTest forms. Forms may change from time to time. The information is collected voluntarily. To schedule voice lessons or register for other events or classes name, email address and phone number is mandatory because to enable us to contact you to schedule your lesson or class. Other information we request is optional. We employ cookies. A cookie is a small text file that our Web server places on a user’s computer hard drive to be a unique identifier. Cookies enable Power To Sing to track usage patterns and to deliver customized content to users. Our cookies do not have an expiration date. Our cookies collect personally identifiable information. The information collected by Power To Sing will be used to contact you to schedule lessons, announce events or send out reminders about lessons. Users who provide information may receive periodic updates on special courses or events. Users that have submitted their phone numbers and emails to us voluntarily may receive additional announcements from us about products, services, and special deals. Out of respect for their privacy, users may always contact us to request that they be removed from our contact list. The information we collect may be used to create customer profiles based on browsing history. We will not supplement information collected at our Web site with data from other sources. Our Web site offers blogs, forums or message boards. Please be advised that information posted in these venues becomes public knowledge. Power To Sing reserves the right to amend our policy on information collection or uses without notice. However the new policy will be posted in this privacy statement. by phone or email (this information is available in the Contact Our Studio portion of our website). We are committed to resolving disputes within 48 hours. No personal data is stored on the Power To Sing web server. All data is stored local to Power To Sing. Personal data access is strictly monitored and is by qualified Power To Sing personnel only. Firewall software to protect the data is installed on the system(s) that store personal data. Personal data backup and redundant storage is strictly monitored and is by qualified Power To Sing personnel only.